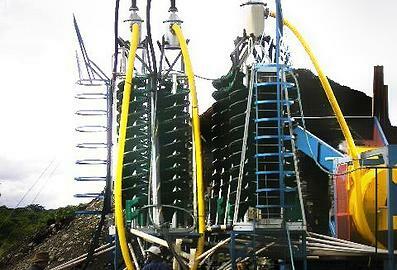 Gravity recovery separates or concentrates minerals and metals on the basis of their density or specific gravity. This technique has been applied since the dawn of time (even the ancients could pan coarse gold from quartz 7 times less dense) and remained largely unchanged until about 40 years ago. In recent years single-g devices such as sluices, shaking tables and spiral concentrators have been replaced, in more demanding applications, with multi-g devices such as centrifuges. A FLSmiidth – Knelson Concentrator imposing 60g of centrifugal force on a slurry not only magnifies the particle density difference 60-fold, but also allows much higher specific throughputs. A single 400tph Knelson QS48 machine that occupies 9m2 of floorspace replaces a football field of shaking tables or sluices, and does so more efficiently. Gravity recovery is the cheapest of all mineral extraction processes, using only power and water, and it makes an obvious first choice for any amenable mineral.  At Peacocke & Simpson we look first to gravity, in the interests of our clients, and resort to chemical processes only thereafter, and only when necessary. After all, mining is about margins: If gravity can provide a high margin even at relatively low recovery, why introduce chemicals for high recovery at reduced margin? Since 1987, Peacocke & Simpson has been proudly associated with FLSmidth (Knelson Technologies), formerly Knelson Concentrators, the recognised world leader in gravity concentration. Our FLSmidth (Knelson Technologies)-certified lab is equipped with KCMD 3, 4.5 and 7.5 semi-batch concentrators, all of which have variable speed drives to provide up to 200G of centrifugal force. 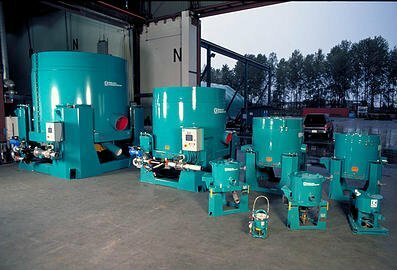 We undertake all forms of Batch Gravity process testing for precious metal recovery, from stream tests on coarse crushed ore or placers, to high-G testing of products at less than 15 micron particle size. Our Gravity Recoverable Gold (GRG) test procedures allow us to simulate and model FLSmidth (Knelson Technologies) circuits at plant scale, to enable optimal circuit design and/or to optimise existing circuits. Our close association and R&D partnership with Appropriate Process Technologies sees Peacocke & Simpson at the forefront of ongoing testing and improvements to APT’s patented Goldkacha technology. 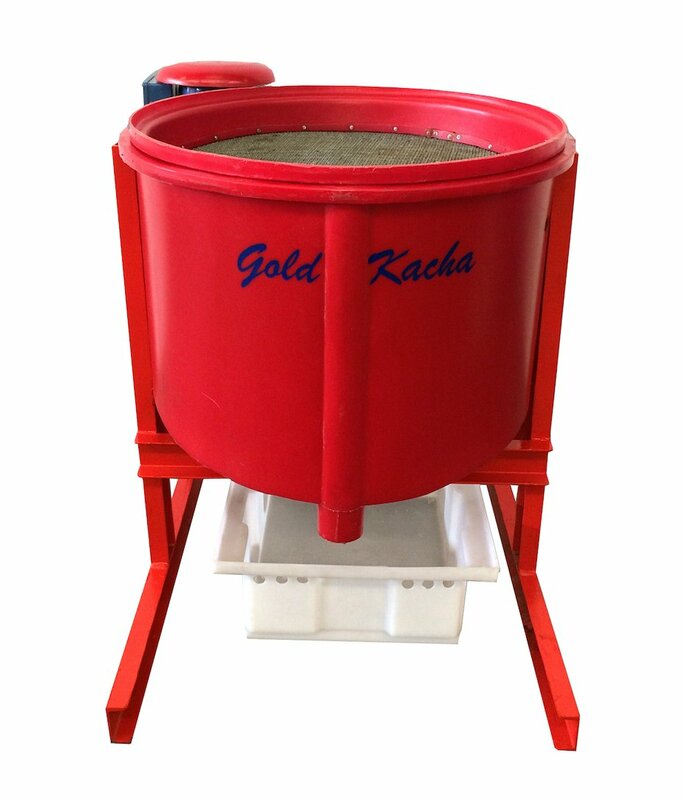 The GoldKacha was developed specifically for the artisanal and small scale mining industry and for field exploration programs, where budget and/or infrastructure is limited, but enhanced centrifugal gravity recovery can still be achieved. Using centrifugal force, the GoldKacha is a master at recovering gravity recoverable gold (GRG) and other heavy minerals. As the process testing partner of APT, Peacocke & Simpson is the best choice for mineral testing and gold plant commissioning. 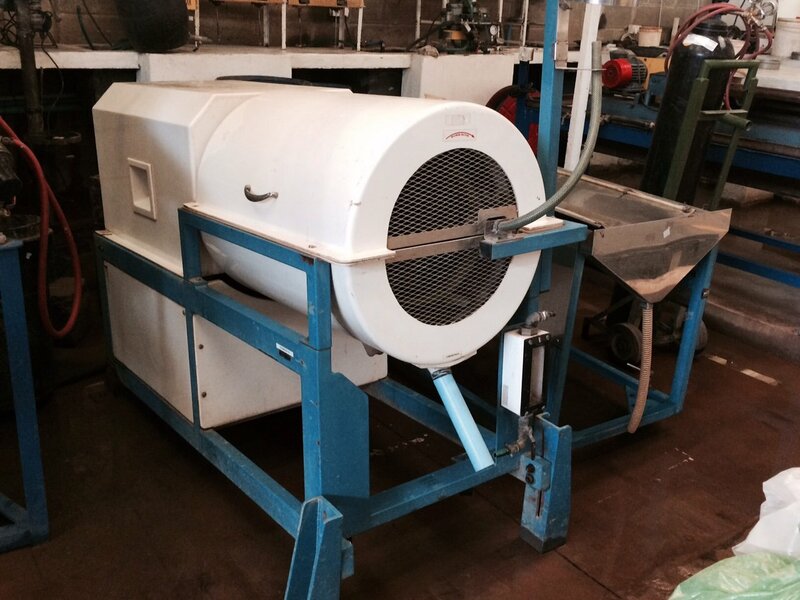 Peacocke & Simpson and APT are committed to the elimination of mercury use by artisanal miners, and have provided the industry with an alternative mercury-free option, with higher efficiency than traditional sluices and panning methods. The Continuous Variable Discharge (CVD) technology takes FLSmidth (Knelson Technologies)‘s world leadership in gravity concentration beyond precious metals, which require only very small mass yields. The CVD allows mass yields up to and beyond 50%, enabling enhanced gravity concentration of base and industrial minerals, gold sulphides and other heavy mineral species. CVD technology can ultimately only be proven and scaled up by pilot process testing, for which we operate a KC-CVD6 pilot plant. Much of FLSmidth (Knelson Technologies)’s CVD research and development has been conducted in Peacocke & Simpson labs, and Peacocke & Simpson holds joint patents with Knelson on various CVD enhancement. Pilot process testing requires bulk samples that are often difficult and costly to obtain, so we have developed a modified concentrate cone and test procedure for our KC-MD3 semi-batch concentrator that allows us to use small samples to prove amenability before proceeding to pilot scale. Despite the relatively recent advent of enhanced centrifugal gravity recovery, single-g shaking tables often still find application in our industry. 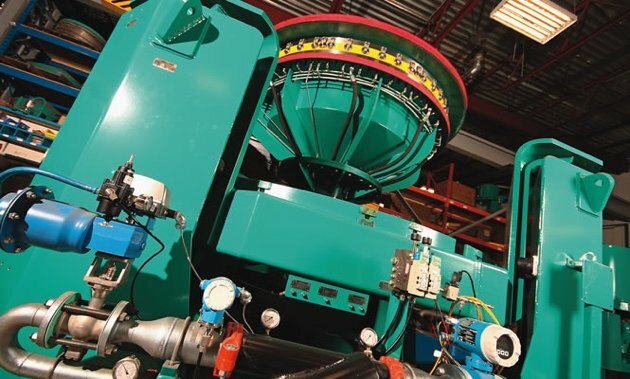 Peacocke & Simpson has the capability to test ores and mineral products on a variety of shaking tables that include a Mozley/Salter Mineral table, a Holman/Wilfley table and a Gemeni GT60 bullion table. 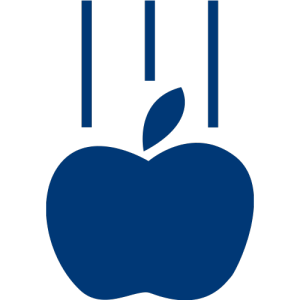 Due to the simplicity and efficacy of shaking tables and their operation in laminar flow regimes, they are often used later in the concentration process. Multi-gravity separation (MGS) technology, conceived and developed by Richard Mozley Ltd, provides a useful accessory to Knelson CVD, and in some circumstances, a replacement. MGS uses lower centrifugal fields than CVD in laminar rather than turbulent flow regimes, and allows gravity separation at lower SG differentials and finer particle sizes. Peacocke and Simpson owns an MGS C900 pilot/test machine that is often used in conjunction with our Knelson CVD, or as a primary device on very fine feed materials. 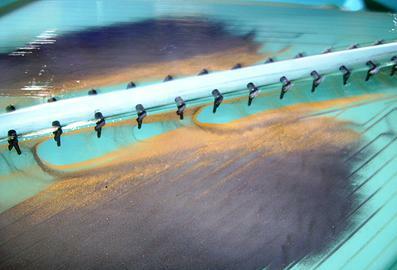 Similar to the Multi-Gravity Separator, spiral mineral concentrators operate in lower-g, more laminar flow ranges, and are highly appropriate for lower budgets and/or for liberated mineral particles that occur in size ranges from about 500 to 100 microns – far coarser than the very fine sizes where CVD and MGS find application. Due to their lack of moving parts, spiral concentrators require minimal maintenance and are less prone to breaking down, and are thus ideally suited to many plants in Africa, where power and water supplies are sporadic at best. This ease of operation comes at a cost however, as spiral concentrators are not as effective as their more costly and high-tech counterparts. Peacocke & Simpson has conducted literally thousands of spiral tests on minerals ranging from gold and base metal sulphides through tin and tantalite to barites and lead.